I attempt to click on the arrow, or the cloud, in the hopes of getting a configuration screen, and I get nothing. Besides storing the files outside the documents directory, say at the root of my profile, is there any other option? I'm asking because it's likely that I'll have applications that can't wait for a delay that will likely happens during a iCloud restore. This means .NET Core assemblies, and other necessary files for development will "act weird". Can anyone help me understand the specifics of what that "weird" will be? E.g. the NSFileHandler will report error code 123, until the file is restored.. I'd like to understand the logic a little bit better. Browse other questions tagged macbook icloud mojave filesystem disk-space . 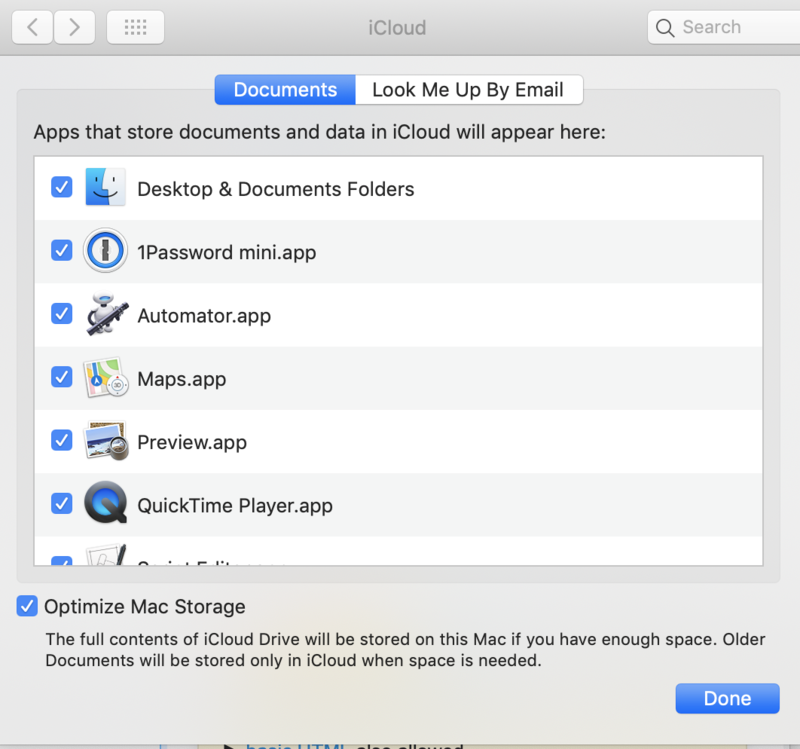 How can I use iCloud's 5 GB space with a 64 GB iPod? Optimize Phone Storage: Underlying logic?